Ranikhet is a famous Hill Station and cantonment town in Almora district of Uttarakhand.Popular as Queen of Meadows owing to rich flora and fauna as there are no concrete jungles developing one can witness the clean well maintained roads, complete greenry,peace & tranquility prevaling which is landmark of army cants everwhere. It is the home for the Military Hospital, Kumaon Regiment (KRC) and Naga Regiment and is maintained by the Indian Army.Ranikhet is at an altitude of 1869 metres and within sight of the peaks of the Himalayas infront of eyes. 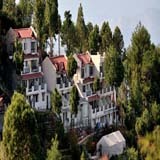 There are many Hotels available in Ranikhet offering luxury facilities like 4 Star Hotels and facilities. 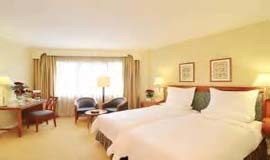 Some of the Hotels are situated at such location from where a guest can easily attain the beautiful sight Ranikhet hills and capture the beautiful snowy Himalayan Mountains. 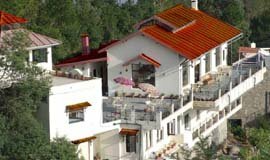 Here is the complete list of 4 Star Hotels in Ranikhet, offering instant discount Upto 60%. 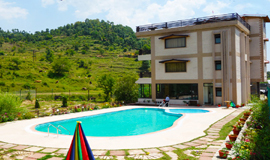 Queens Meadows is one of the first rate Eco extravagance resort in the spiritualist and entrancing land of Ranikhet. Protected on a hill top and encompassed with glorious Himalayan ranges. 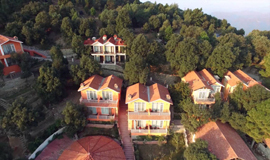 Hotel Cosmos Open View Ranikhet is ranked among the 10 best hotels in Ranikhet. 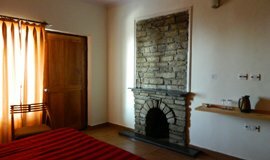 With 10 tastefully defined rooms categorized into Cottage Deluxe.. The Parijat Retreat has 6 very well furnished rooms with attached baths, it is a countryside property bent towards conservation of nature, in order to give you the best holiday experience by connecting you with nature. Nestled in the lap of the enchanting Kumaon Himalayas, Vimoksha Resorts is undoubtedly a dream come true. 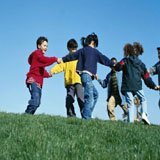 Amidst all the natural beauty situated on a plateau overlooking the west valley, surrounded by pine and fir forests, covering an area of 6 acres stands 'The West View'. 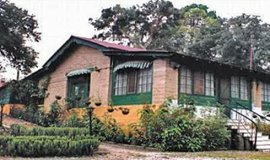 Woodsvilla Residency, Ranikhet, is a cosy abode for travellers who seek luxurious accommodation in the quiet Himalayas. WelcomHeritage Windsor Lodge is situated at a vantage point on a wooded hillock with a commanding view of snow-capped mountains, thick pine and cedar forests and the sweep of the Ranikhet Golf Course. Ranikhet receives seasons first Snowfall.While travelers cheered, the new winter rain and snowfall likewise brought a murmur of help for agriculturists of Uttarakhand and Himachal Pradesh who had seen a dry winter so far.Nainital additionally got the first snowfall of the season. Great place. It is must visit place.Visiting Chaubatia Gardens, Religous Temples like Binsar Mahadev, Jhula Devi Temple, Haidakhan Babaji Temple was very unwinding. 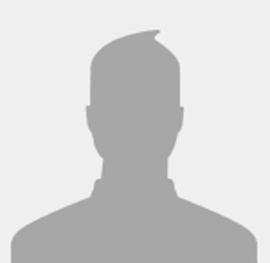 On the top of that visit to Ranikhet Golf Course was a amazing experience, the golf course is one of the highest golf courses of Asia, located 5 kilometres ( 3 mi) from main Ranikhet City. 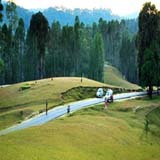 Ranikhet Golf Course is a 9-hole course making it one of the prime attractions of Ranikhet. Another Beautiful Spot in Uttarakhand. Again another beautiful tourist spot in Uttarakhand yet not much popular like Mussoorie or Nanital but slowly this place showing it's beauty all around the world. Its a cantt area there for you will see a cleanlyness and feel safe here. Hotels are not much expencive to afford free hotels are on good locations gives you a beautiful view of nature, one can find true peace here. 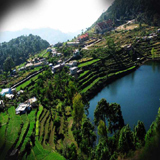 Ranikhet is one of the hidden gems of Uttarakhand. More than 350 kms away from Delhi, this hill station is a perfect escape from scorching summer heat. 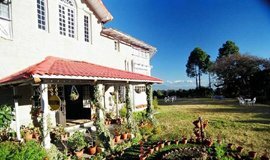 Ranikhet is not as popular as other tourist places like Nainital, Mussoorie but it is slowly developing and attracting many tourist every year. This beautiful little town has slowly started to register itself on the tourist map. 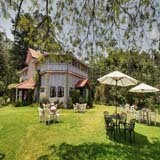 What are some of the best hotels in Ranikhet, Uttrakhand? 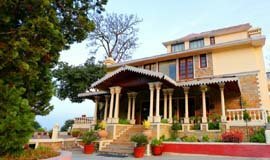 What are good hotels at Ranikhet? 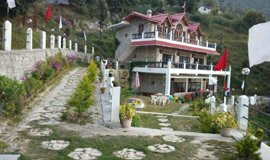 West View Hotel, Xomotel Ranikhet Heights, Chevron Rosemount, Ranikhet Inn, Xanadu Resort, Hotel Pool Retreat, Parwati Inn, Kalawati Resort are some pretty good Hotels. Some of these property also have some decent facilities. 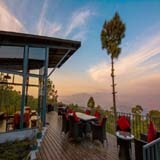 Where can I find best luxury hotel in Ranikhet? Luxury Hotels like Windsor Lodge, Chevron Rosemount, Woodsvilla Residency are located in different-diferent regions of Ranikhet such as Kalika Estate, The Mall Road, Majkhali. 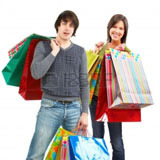 These Luxury Hotels also offers great discount during the time of NewYear and Peak Season. 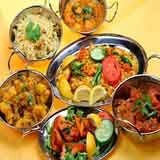 How to find the suitable budget hotel in Ranikhet in December 31 ? 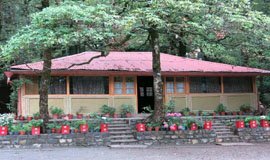 December 31 is the time of Peak season in all Kumaon regions including Ranikhet. 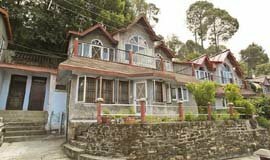 To book a budget property in Ranikhet, the one must book hotels in one month advance to avoid last minute hassle, as there will be too much rush from 20th December until NewYear and the hotels could be sold out. 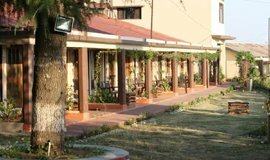 Budget Hotels like Hotel Queen's Meadows, Parwati Inn, Ranikhet Inn could be the best choice.